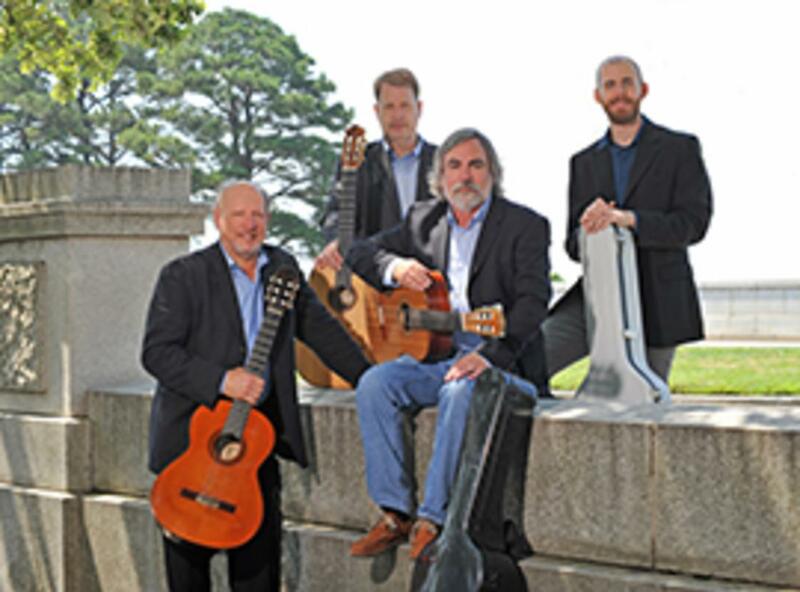 Brighten your day with the energizing classical guitar ensemble, Tidewater Guitar Quartet. 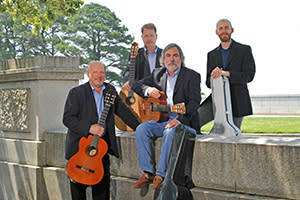 The talented foursome, comprising Sam Dorsey, Cliff Morris, John Boyles, and Todd Holcomb, come from the Tidewater Guitar Orchestra, one of the only orchestras of its kind in North America. The ensemble’s singular sound incorporates instruments from the South American guitar orchestra—the requinto (soprano guitar) and baja (baritone guitar)—to extend their musical range and create a fresh take on the traditional sounds of string quartet. Delight in a gorgeous concert of works by Debussy, Falla, Bernstein, and Scarlatti, as well as original pieces composed for Tidewater Guitar Quartet.